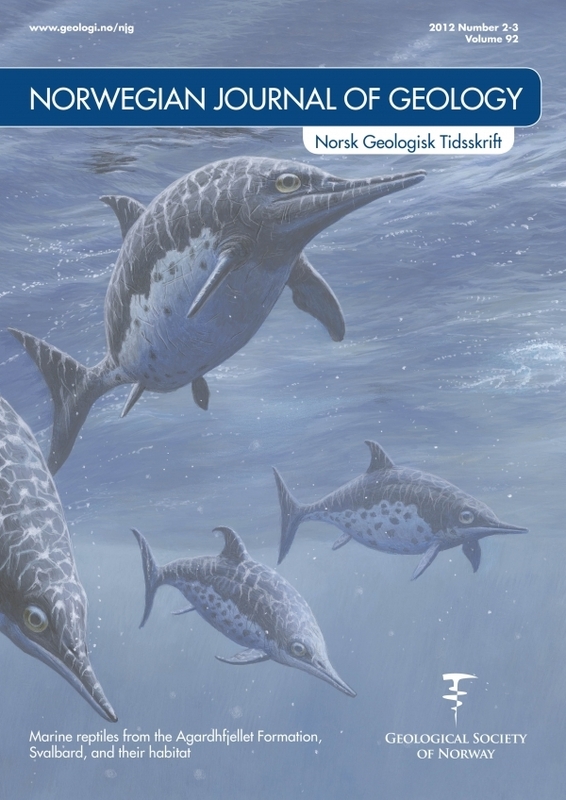 Paleontological fieldwork on Spitsbergen, 2004-2011, has revealed the presence of abundant plesiosaur and ichthyosaur remains, a series of 15 seep carbonate bodies, as well as a rich invertebrate fauna from the Upper Jurassic – Lower Cretaceous Slottsmøya Member of the Agardhfjellet Formation, a 70-100 metre-thick unit of dark grey to black shale and paper shale. Deposition of the Slottsmøya Member occurred at high paleolatitudes, at or near the Arctic Circle, and molluscan and foraminiferal biostratigraphy indicates an Early Volgian – Ryazanian age for the unit. In this volume we present the organic carbon isotope chemostratigraphy, cyclostratigraphy, lithostratigraphy and sedimentology for the Member. A well preserved assemblage of fossil echinoderms, the first ultrastructural information on the lingulid brachiopod Lingularia and microfacies of nine seep carbonates are described. Comparative analyses of the marine reptile material found in the Slottsmøya Member indicate a diverse assemblage of new plesiosaurians (two new genera and three new species of plesiosauroids and one new species of pliosaurid) and ichthyosaurians (two new genera and species). Placed within a high-resolution stratigraphic framework, the diverse invertebrate and vertebrate assemblage of the Slottsmøya Lagerstätte provides an unparallelled opportunity to study the evolution and paleoecology of a high-latitude, Mesozoic, marine ecosystem.